3 Insanely Successful Stock Market Investors in India that you need to Know. 3 Insanely Successful Stock Market Investors in India that you need to Know– My blog ‘Trade brains’ recently got listed in the top 100 stock blogs and websites for stock traders at feed spot. Hurray!! And in this cheerful occasion, I decided to write something different. Something that every stock investors in India need to know. And then this idea came to my mind. All those who enter the stock market in India has same dreams. They all want to become absurdly wealthy like few of the known richest investors in the world. However, I strongly believe that if you want to learn something new; then it’s best to learn from one who has already done it. If you want to become successful in the stock market, then you should learn from the lives of these iconic stock market investor. How was their journey, what principles they follow, how long they have been investing? etc. So, today I decided to write a post about the ones who are insanely successful in Indian stock market. But do you know about the preposterously successful investors who made tons of money by investing in Indian stock market? Yes, I can hear the name in your mind. Rakesh Jhunjhunwala. The name which comes instantly on the mouth of every Indian when we hear the term ‘Rich-Indian-stock-market-investor’. But how much do you know about him? And what about the other successful stock market investors in India? In this post, I am going to tell you about 3 insanely wealthy stock market investors in India. Further, I will recommend you to read this post till the end as I have kept a surprise bonus there. So, be with me for the next 8-10 minutes to learn all about the most successful stock market investors in India. 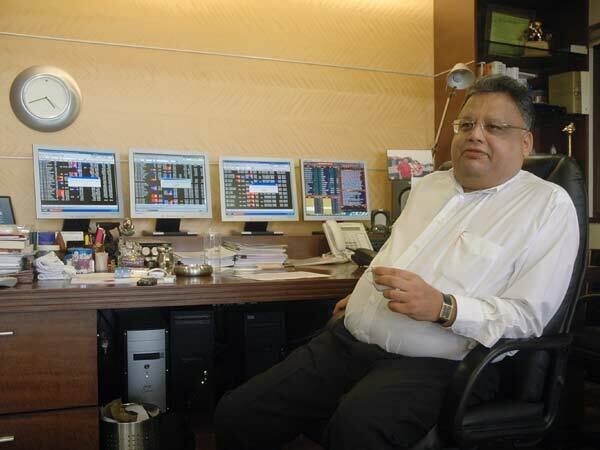 Rakesh Jhunjhunwala, also known as, “India’s Warren Buffet” and “The Big Bull’, is one of the most renowned and successful stock market investors in India. The son of an income tax officer, Rakesh joined the stock market after completing his degree as a chartered accountant. Starting with the initial investment of only Rs 5,000, currently, he is sitting on a huge net worth of around Rs 15,000 crores. Jhunjhunwala today manages the privately owned asset management firm “RARE Enterprises”. The name RARE is derived from the initials of his name and his wife’s name. That is- ‘Ra’ from his name (Rakesh) and ‘Re’ from his wife’s name (Rekha). He is also the chairman of Aptech Limited and Hungama Digital Media Entertainment Pvt. Ltd.
From the very start, Rakesh Junjhunwala’s ‘risk and reward’ taking ability along with impressive imagination & wisdom earned him great profits. His first ever large income was from selling 5000 shares of Tata Tea which he had previously bought for Rs. 43 per share and selling them at Rs. 143. His later career was marked by his buying of six crore shares of Titan in 2003 at an average price of around Rs 3. The stock is still in his portfolio and currently trading at Rs 530. According to Forbes 2016, Rakesh Jhunjhunwala is India’s 53rd richest person. Radhakishan Damani, also known as ‘Mr white and white’, because of his simple dressing- white shirt and white trousers, is an investor and owner of D-mart. He is also the mentor of billionaire investor Rakesh Jhunjhunwala. RK Damani is known for his low profile and he rarely makes an appearance in public events or press conferences. On 21st March 2017 i.e. the listing day of Avenue supermart (parent company of D-mart), the stock price rose more than double, from the offer price of Rs 299 and ended up 116% upwards to Rs 648. 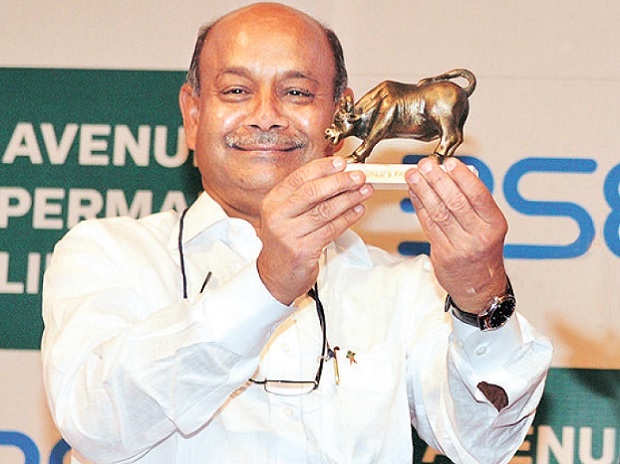 In the IPO of Avenue Supermart, RK Damani made around Rs 6100 crores in just two days. RK Damani owns 52% stake in Avenue Supermarts, and Bright Star Investments – his investment company, holds another 16% stake. RK’s journey in Indian stock market is truly inspiring. He was not always involved in the stock market. He started his career as a trader in ball bearing, with no intentions to enter the stock market. However, his future has something else reserved for him. At an age of 32, post his father’s death, RK was forced to close down his ball bearing business and had to join his brother in the stockbroking business, which was inherited from their father. RK Damani had no idea of what to do in the stock market then. His knowledge of the stock market was very limited and can be considered next to zero when he entered. He made few mistakes initially by speculating the stock prices. However, he soon understood that the market is a heaven for those who want to make a great fortune in life. As he was involved in stock broking, he also understood that he can’t make lots of money just by watching other people invest. Finally, he started investing for the long term. Gradually, his judgment began getting right, and within the next couple of years, he was standing as one of the most successful investors in the market. RK Damani’s strategy is quite simple- Invest for the long term, like 5 to 10 years. RK always sees the future prospects of the company before investing and invests only if the product has a potential far ahead in the future. Ramesh Damani, the investment guru and one of the most successful stock market investors in India, started his journey to riches in 1990’s when Sensex was 600 points. He holds a bachelor’s degree in commerce from HR College, Mumbai and a master’s degree in Business Administration from California State University. 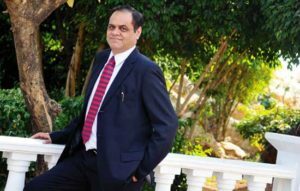 Ramesh Damani works at privately owned Ramesh s Damani Finance Pvt Ltd. The son of a successful stock investor, Ramesh Damani became a member of the Bombay Stock Exchange(BSE) in 1989. Initially, Ramesh planned his career as a stockbroker. However, later he started enjoying picking winning stocks and switched to become a long-term investor. Ramesh Damani’s first famous investment was ‘Infosys’. Coming from a techie background in the US, he knew that Infosys has great future potentials. So, when Infosys became public in 1993, he invested Rs 10 lakhs in it. By 1999, this investment has given him more than 100 times return. The investment philosophy of Ramesh Damani is easy and simple to understand. He is a long-term investor and suggests not to invest for short-term gain. Further, he advises everyone to make an exit strategy clear before making an investment in any stock. He further adds that the economy of a market is hard to predict; however if you have researched the stock carefully, and had made a good strategy, then you can easily make fortunes in the stock market. Raamdeo Aggrawal, the co-founder of Motilal Oswal Group, is another most respectable stock market investor in India. He is famous for investing in the legendary stock of HERO HONDA in 1995 when HERO was a small cap with a market capitalization of only 1000 crores. Raamdeo Aggrawal invested around Rs 10 lakh in the shares of the two-wheeler manufacturer at Rs 30 apiece, and held on to them for the next 20 years, till the share price rose to Rs 2,600 apiece. Today the market cap of HERO is above 73,000 crores. During the last 30 year career, Raamdeo Aggrawal investing strategy is based on QGLB: Quality, growth, longevity and bargain value of a company. Like most great investors, Raamdeo Aggarwal too follows the principles of long-term investment. Among his favorite books to read are- ‘One Up on Wall Street‘ by Peter Lynch and ‘The Intelligent Investor‘ by Benjamin Graham. Further, he is also excited by Michael Porter’s ideas on the competitive structure. 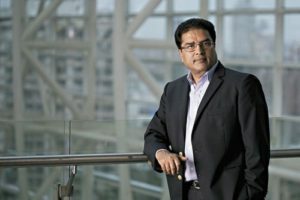 Raamdeo Agrawal suggests the investors not to be driven solely by market trends and advice to research the stock intelligently before investing. As promised, here is the bonus section. List of few other best stock market investors whom you should know. Further, I have added a link to each of the investors so that you can read further. That’s all. I hope this post- “3 Insanely Successful Stock Market Investors in India that you need to Know” is helpful to the readers. Please share the post if you liked it. Happy Investing. Further, do comment below who is your favorite Indian stock market Investor?